Yamaha XT 660 Z Tenere Hire in Cape Town - Adventure Motorcycle Rentals in South Africa, er mieten, Routes, Accommodation, Travel Info. Prices include VAT, Insurance - Fuel Costs are not Included, the tank will be full when you collect. Spare tubes, tyre levers, valve puller, patch kit, CO2 inflator canisters with valve nozzle and full tool kit. Build for any type of terrain regardless of how tough the terrain might be, this is one motorcycle which will never let you down. 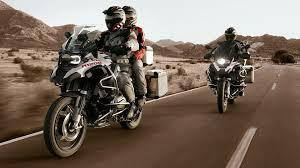 With more torque and power the BMW R1200GS Adventure has been designed for the adventurous at heart. Featuring new air and water cooling, LED lights and a semi automatic ESA suspension. 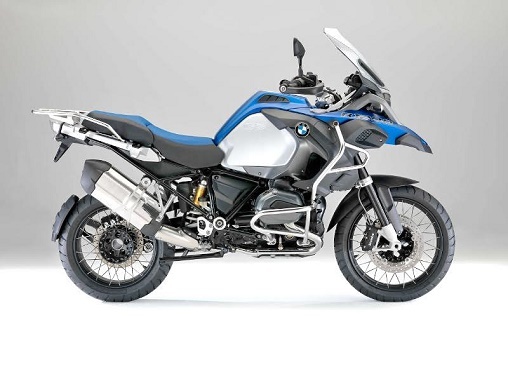 Featuring a new air- and water-cooled, 1170cc boxer engine, LED headlights and semi-automatic ESA suspension. With this new design you will experience a whole new level of performance, acceleration and power on both the road and off road terrain. Within a radius of 50km from Somerset West we charge ZAR330 one way. AA rates apply at ZAR3.30 per kilometer outside of 50km for bikes to be delivered and collected on our trailer. Both front and rear tyre's are fitted with Heavy Duty Tubes. "No tyre should be without it." All prices are quoted in South African Rand, Including VAT and are subject to change without prior notice. 2. Mobile phone - with full battery, and airtime. 3. Money/Cash, bank cards - always draw cash before you leave. 5. Protective clothing - impact vest unless its in your jacket. ... Knee and shin guards. ATGATT (All The Gear All The Time). 7. Small medical kit containing bandages, dressings and basics. 8. Headache tabs, diarrhea tabs - toilet paper in ziplock bag. 9. Headlamp with fresh batteries. 10. Rain pants and jacket, rain covers for your boots. 11. Sunglasses, reading glasses for reading maps, magnifying glass. 12. Your bike tool kit. 13. GPS if you have one. 14. Paper Route Maps - always handy even with a GPS.